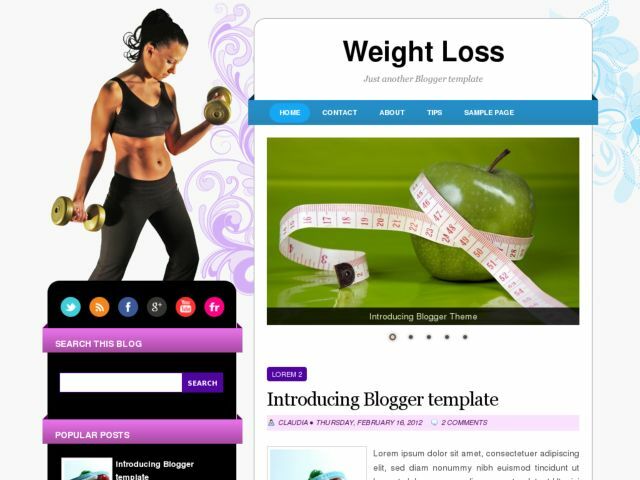 Weight Loss Blogger Template is a simple Blogger Template for Diet, Fitness, Weight Loss and Healty Food Sites. Features: 2 columns, left sidebar, black sidebar and white color for main post, 3 footer columns with blue light background, rounded corners style, nivo slider, automatic thumbnails with excerpts and more. Suppports Blogger menus and threaded comments.